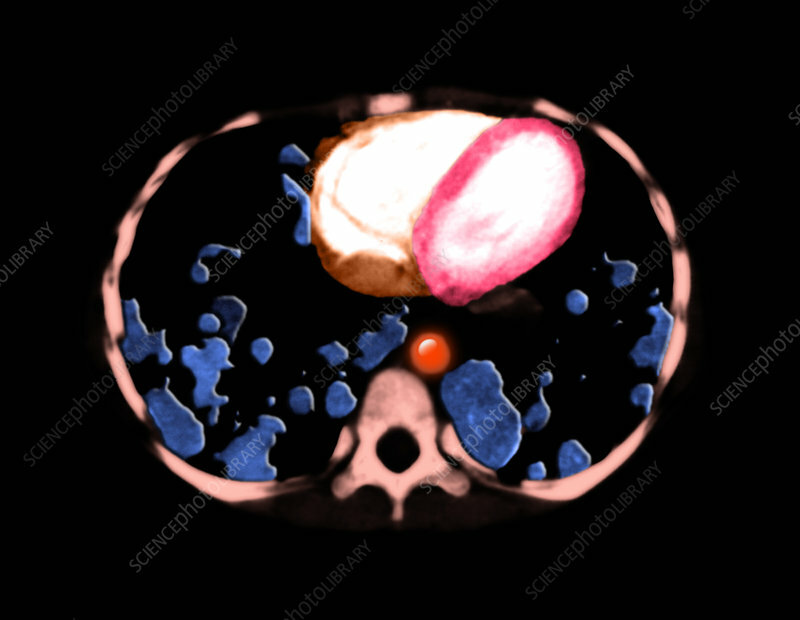 CT scan of a cross-section of a child's chest, showing multiple masses (blue) in both lungs resulting from the metastatic spread of a distant malignant tumor. The aerated lung is pictured in black and the heart is the ovoid structure in the middle of the chest. The left ventricle is red, the right ventricle is orange, and the descending thoracic aorta is red.